SN/A TALKS who's NEW TALENT? 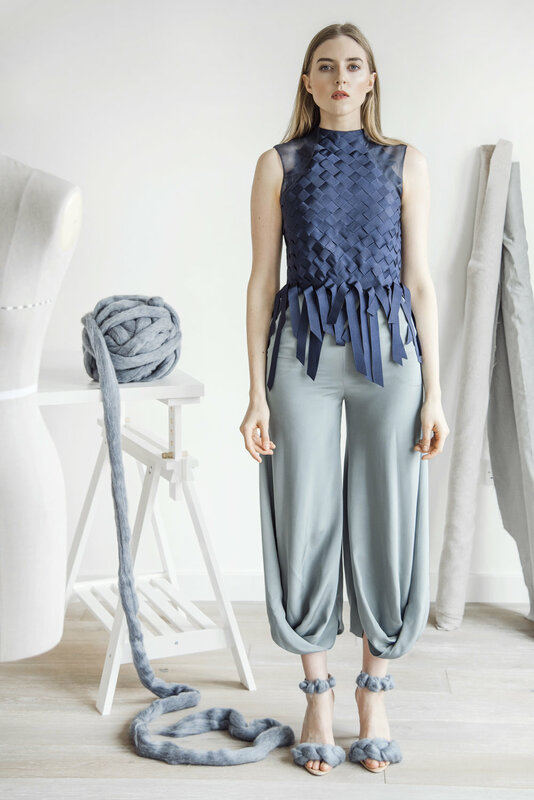 I loved creating things since I can remember and started sewing and making clothes when I was still a child. To fashion as such I only came later, but even today I think my fascination lies more with garments and the craft of making them than with trend led fashion. 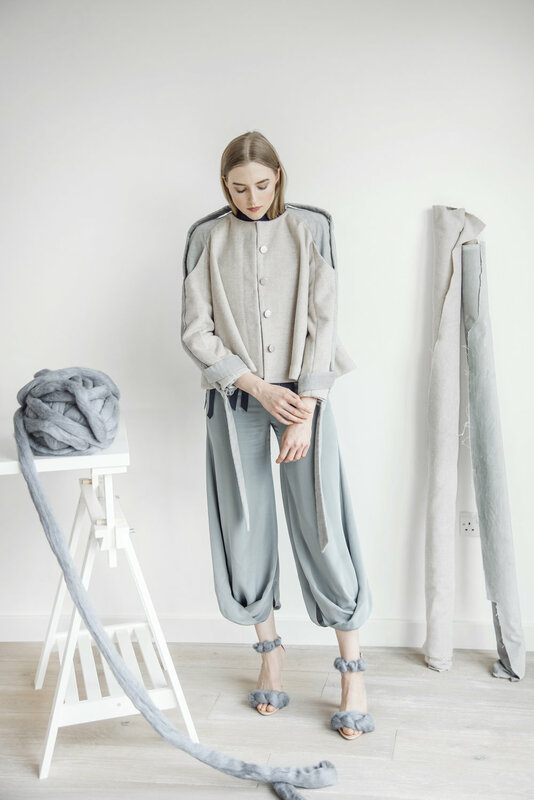 My graduate collection was inspired by tectonic plate movement. I translated its concepts into pattern construction and aimed to capture the beauty in this forceful movement of our planets crust trough textures, folds and layers. I am currently working on expanding the range of my designs. At this point in time I don’t consider designing in collections to be the best way for me to work. I want to create timeless pieces which reflect the identity of my brand and are compatible with previous designs, so I am expanding my range piece by piece instead.